One of the strongest THC-rich auto’s we have yet seen. 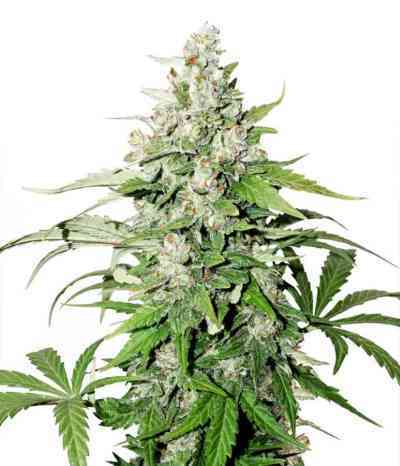 Auto Cinderella Jack is a feminized auto variety created together with Buddha Seeds, innovative auto breeders from Spain. The parent genetics were selected exclusively on THC levels and nothing else. Professional lab analysis was used at each stage of breeding to confirm high-THC foundation genetics over several generations and all individuals. Originally this project began with selected crossing of Cinderella 99 and Jack Herer. The auto genetics came from the Magnum genetic line which ensures harvest quantities are well above average. With THC levels of 20%++ this is one of the most potent auto varieties currently available. hat mich voll überzeugt. super wuchs und guter geschmack. bei mir waren sie sehr kleinwüchsig und mager, ich habe es 2017 und 2018 ( extrem guter sommer )angebaut und ein drittes mal sicher nicht!